Composite drawings are usually drawings that are put together using different types of card. Detail is then drawn on to the card or colour/shade is added to give a quality finish. 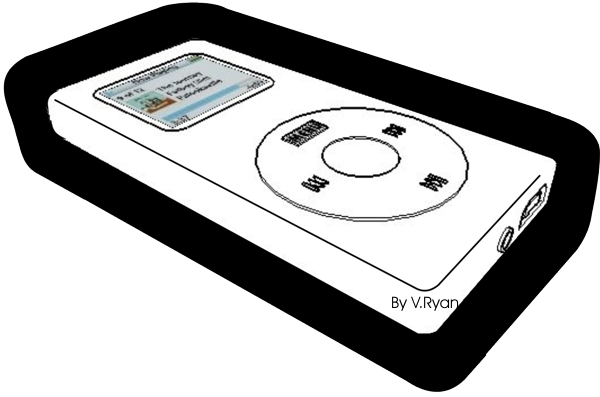 The drawing below shows a music / data device such as an iPOD. The iPOD has been drawn using a fine black ink pen on white card. This has been glued onto a black card background. This produces a drawing with contrast between the black and white and is a style that can be used during the early design / development of a product. as It can be drawn relatively quickly. Adding a little colour (in this case - the menu/mini screen) increases the effectiveness of the technique. 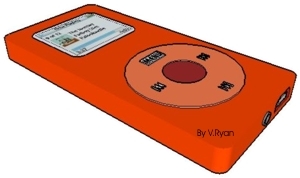 The iPOD seen opposite has been constructed by gluing layers of coloured card together. Further detail has been added with a fine black ink pen and additional coloured card. Layers of coloured card glued to form the basic shape of the design. Additional coloured card and fine felt pens are used to add detail. 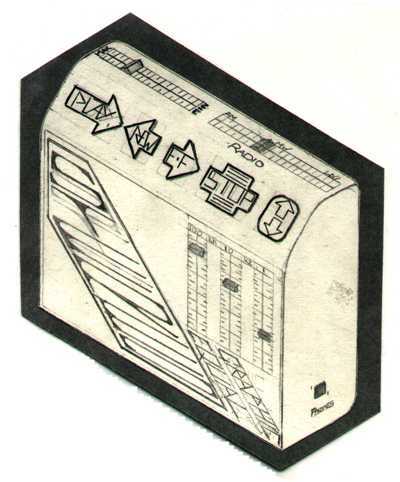 For example, the ‘skip / forward’ button has been added by using a fine black ink pen to draw the outline. Further colour is then added. Opposite is a detailed pencil drawing of a design for a personal stereo. Pencil and a fine black ink pen have been used to produce a quality sketch. When designing a number of ideas - this is a technique that can be used as it gives the designer a good representation of how the product will look. Here we see a card composite drawing. The design is the same as the one above but this time blue card has been used as the basic colour, a white pencil and fine black ink pen have been used to add detail. The buttons are cut from yellow card and detail has been added to these as well. 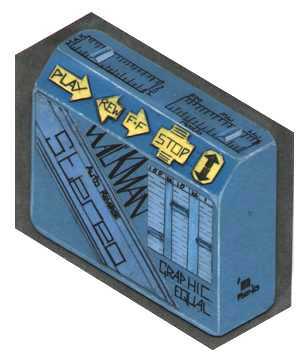 The card composite drawing gives a better quality finish and this technique would be used when the final idea has been selected. It is a presentation drawing.